From understanding solar panel cleaning savings to uncovering the best solar panel cleaning robot, the Solar Cleaning Directory has you covered. 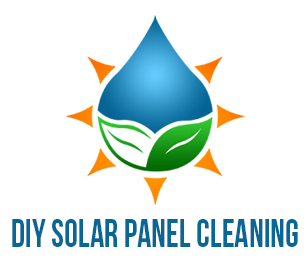 If you have any questions about solar panel cleaning in general, we are here to clean up your solar cleaning clarity and help you understand a little more about the options you have when cleaning panels and the best practices. With 100’s to even 1000’s of solar panels being installed everyday, the need for solar cleaning is growing and growing fast. Keeping the worlds solar performance at peek production is crucial for clean world energy. Learning the basics about solar panel cleaning can help you better understand the reason behind cleaning solar panels along with understanding the options out there when looking into the perfect solar panel cleaning solution for your solar power system. Each solar power system is different and will need a unique solution. 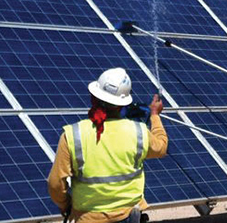 A solar panel cleaning solution for a commercial application is going to be far different than for a residential system, so it is important to understand the differences of each and when to hire a professional solar cleaning company instead of installing a solar cleaning system, machine or robot. Take a look below and find the answer you are looking for in our wide selection of solar panel cleaning information.